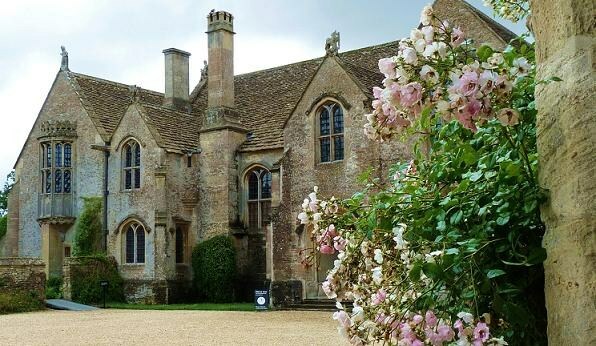 Great Chalfield manor and Garden was given to the National Trust in 1943. 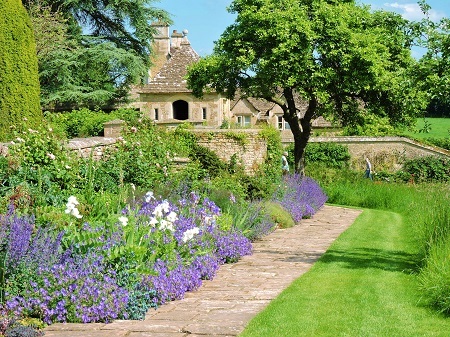 Great Chalfield Manor and Garden is comparable to Great Dixter in Sussex and the layout of the borders to the back of the House is similar. 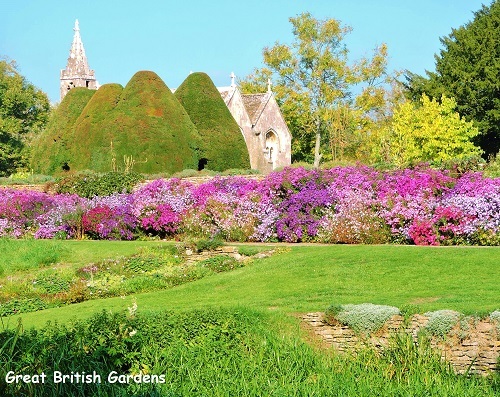 The gardens were designed by Alfred Parsons RA, PRWS in 1905-1912 with an Arts and Crafts influence. Here the gardens lead down to a spring fed moat and fishpond, water almost surrounds the property. 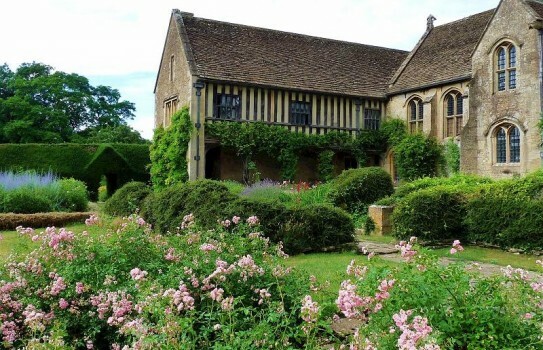 The present occupiers have made good progress in improving the gardens, which are now worth seeing in their own right. 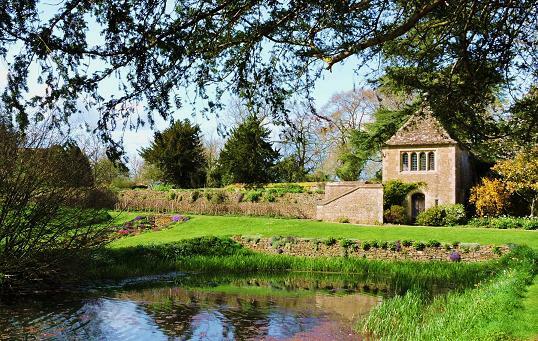 There are some very colourful borders in many parts of the garden and you will also notice the unusual Yew Topiary pavillions in the form of houses - but without windows. 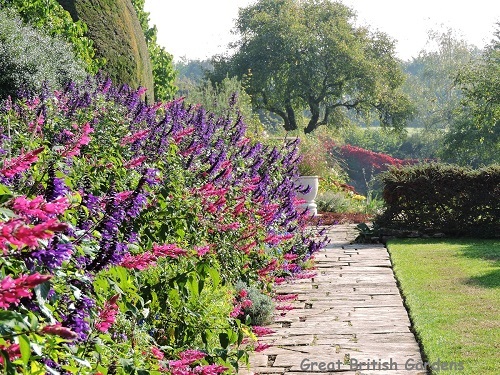 Autumn borders extend the season. 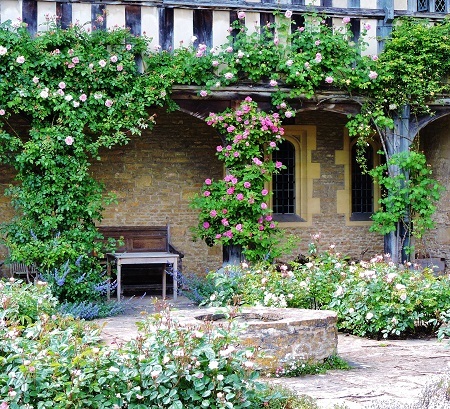 The orchard leading down to the lower moat is kept for wild flowers and overall the garden has a calming romantic atmosphere. In February the gardens have an open day for snowdrops and hellebores.